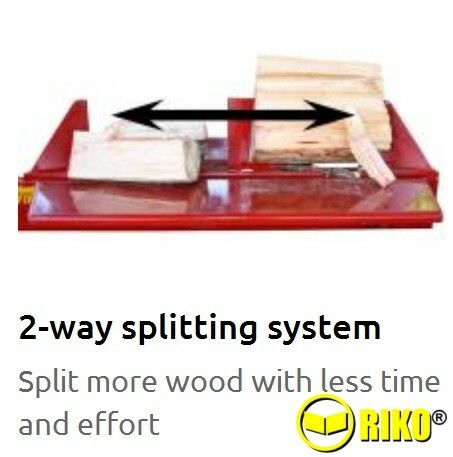 20 Ton two way splitting log splitter with single and double knife. 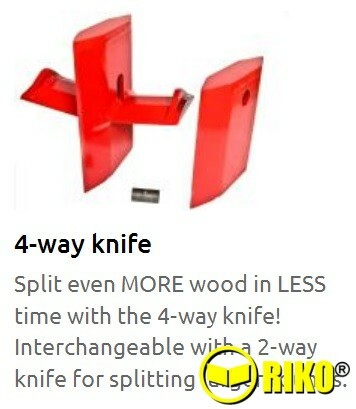 20 Ton two way splitting log splitter with interchangeable single and cross knife. Available as a tractor powered model or petrol engine powered model. The tractor 3 point linkage mounted version can be ordered as a PI version or PTO version. The PI version uses the tractors hydraulics so performance may vary depending on age of tractor and hydraulics performance of the tractor. The PTO version guarantees full performance as does the petrol engine model. The Petrol engine model can be ordered with a yard tow axle or a full IVA road tow axle with lights etc. 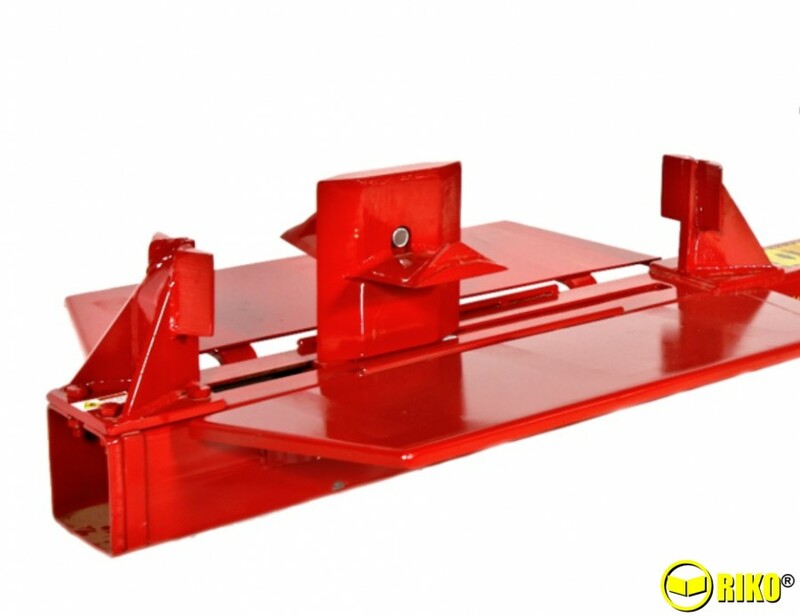 An optional Hydraulic log lifter is available and replaces one of the wings. It can be fitted on either side and does what it says on the label! Roll the log onto the lifter, operate the additional hydraulic lever and the log is lifted up to the splitting area. The lifter stays in the up position during splitting and creates a larger work area for coping with the increase in split timber from large logs. 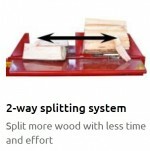 As with all Split-Fire log splitters the two-way splitting action increases output by at least 35% and the extension wings and optional log lifter help ensure the log stays in the splitting area prior to, during and after splitting. 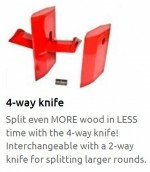 For fast and safe splitting with minimal bending over, it has to be Split-Fire.